Giving thanks is not the same as having gratitude and appreciation. Having gratitude and appreciation is about embracing, owning and “having” those things which have manifested in your life. Gratitude is the inner feeling. The receiving and acknowledgement, if you will, for those things you already have. Having gratitude and appreciation is an inner expression of peace and contentment. In every sense gratitude and appreciation are vibrational messages felt deep in your soul that have the ability to shift your perception from negative to positive. 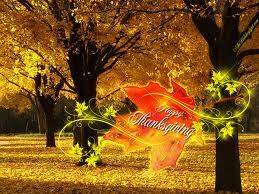 Giving thanks differs in that by giving thanks you are expressing in words and/or by deeds that which you feel inside. By giving thanks in any form whether it be a simple, heartfelt, verbal “thank you”, shouting thank you from the rooftops, writing a note, donating your time or money to help those less fortunate or saying prayer you are showing your gratitude and appreciation. Often we are silent with the people we love. Often we do not thank those for whom we have the deepest gratitude and appreciation for and other times we do not give back as much as we probably should. Why do we hold back the heartfelt thank you s? Why do we not express and show how grateful we are every day? Only you can answer the question; Are you thanking those who mean the most? Are you giving back a bit of what you have been given? Thanksgiving is truly a time to visit your inner world and find gratitude and appreciation for all that you are, all that you have, and for those who helped you with lessons along the way. Say thank you to those who may not know how grateful you are. Give thanks for your abundance. The greatest expression of living in abundance is giving. Many are struggling right now and your thanks-giving might be the very thing they need to find hope and a moment of peaceful joy. Even silent giving says thank you to the world but it is still important to say thank you. “To give thanks in solitude is enough. Thanksgiving has wings and goes where it must go. Giving thanks brings balance to gratitude and appreciation. Say thank you for what is on the inside! Why not make it a daily practice? Start now and by the end of the year you will create a beautiful habit of thanking those you are grateful to! Thank you Don. Happy thanksgiving! Reblogged this on Lantanagurl's Rambling Mind.